I had a very different beginning – and ending – in mind for this book review. Because Hillary was supposed to win! Right? Well, that didn’t happen and now I am more grateful than ever for having read this week’s Book of the Week, Hillbilly Elegy – A Memoir of a Family and Culture in Crisis. The book is a memoir of a young man who has made his way from a poor white community of Jackson, Kentucky (the land emboldened by the words of Donald Trump) through the dreams of middle class America in Middletown, Ohio to the hallowed halls of Silicon Valley. But this is not your typical memoir depicting the classic American dream; it is more than anything an analysis of a country and culture in crisis. J.D. Vance’s journey from a poor Appalachian town via the Marines and Yale Law School to success in California is a journey filled with fear, pain and hard work, but it is also a journey made possible by the love of a grandmother who in any other setting would be reported to Social Services. On the face of it this might seem like your ordinary rags to riches story. 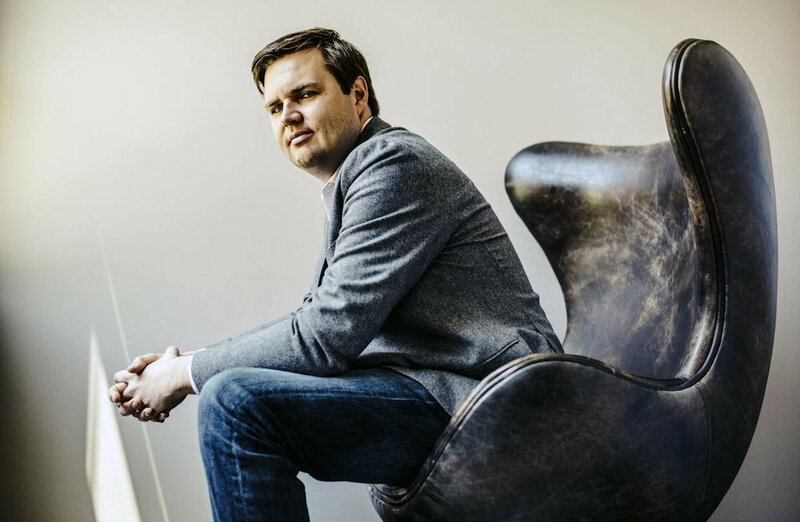 However, What makes J. D. Vance’s book so powerful and moving is the recognition that for the vast majority of children growing up in poor white America there is very little hope, if any, of making it to even the periphery of what the rest of us would call a comfortable life. It seems at times as if there is conspiracy of circumstance and coincidence that sets up hurdle after hurdle for these kids and that only a stroke of luck, a single devoted teacher or a tough as nails family member can play the role of superhero. But this surely cannot be what the children of the wealthiest nation in the world (and their parents) should have to rely on in 2016? Hillbilly Elegy has no racial component. It does not set white communities up against African Americans and it does not address the black experience in America today (many other great books are doing that.) Yet, interestingly, many of the experiences of Vance’s family members mirror those of the poor black community in the south. The book also describes the historic migration of entire communities from the South to the North in search of post war middle class dreams of homes, white picket fences, security and education for their children. It opens the reader’s eyes to what happened to these large communities once the dream disappeared due to globalization and financial crisis and how many of the members of these communities had nowhere to go and not much to lose. And in an additionally interesting “twist” Vance does not blame one or the other, the system or the individual, rather describes how the downfall of this very large group of people (voters!) is due not only to an, at times, unfair society but also to the inability of individuals to understand the role they could play in their own lives. It only took a chapter or two to realize that I had met the people (millions it turns out) who voted for Donald Trump. It wasn’t all a huge surprise – I had peered through my bubble and thought I had seen them, but really I hadn’t. In this week of Thanksgiving I am grateful to J.D. Vance for broadening my horizon and adding color to the default “black and white”. I fear Trump and all the ugliness he embodies but thanks to Hillbilly Elegy I am less angry at the people who voted and more angry at the politicians who took advantage of them, lied to them and will without a doubt let them down. Email us today to reserve your copy of Hillbilly Elegy.